A huge number of people got involved. We’d like to keep these connections & collaborations going over the winter months – how can we bring our networks and our expertise together for peace? 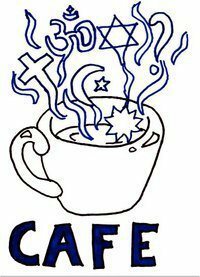 Watch this space for news of the London Peace Café – hot chocolate, spicy snacks and excellent company . . . This entry was posted in Camden, Peace-building, UN International Day of Peace and tagged London Peace Cafe by Catriona Robertson. Bookmark the permalink.